Listen as Michael Ellenbogen and Lakelyn Hogan of Home Instead Senior Care talk about the dementia diagnosis journey. Michael lived with a diagnosis of younger-onset Alzheimer’s disease for 10 years before he received new test results indicating his diagnosis of Alzheimer’s was in question. He shares about his experience and lessons learned along the way that may help other individuals on a quest for an accurate diagnosis. 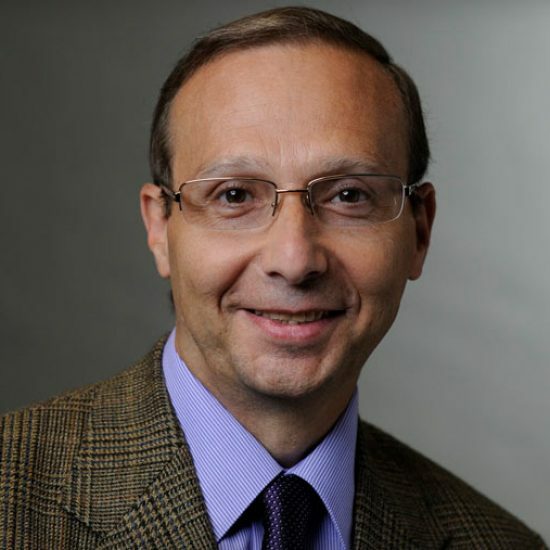 Michael Ellenbogen is a world-renowned advocate for individuals with dementia and speaks openly about his own 20+ year dementia diagnosis journey. Prior to his diagnosis, Michael was a network operations manager for a Fortune 500 financial institution. At the age of 39, he was told that his cognitive issues were due to stress. At the age of 49, he was diagnosed with young-onset Alzheimer's disease.Michael became involved in numerous local, national and international organizations, lending his voice and experience to help advance Alzheimer’s research and advocate for support. He was featured in the Alzheimer's Disease International's 2012 World Alzheimer's Report and has represented people living with dementia at the World Health Organization. He also wrote a book about his journey titled “From the Corner Office to Alzheimer’s.”At the age of 59, Michael received a new diagnostic test that delivered shocking results: he did not, in fact, have Alzheimer’s disease. Instead, neurologists have placed his form of dementia into a fairly new category called suspected non-Alzheimer’s pathophysiology (SNAP). He continues to share his story and has become a champion for improving diagnosis processes. I’ll look up semantic dementia. This touched my heart deeply. I’ve been searching for answers and dealing with Alzheimer’s alone for decades when I lost my wonderful Father in 1990 from this debilitating disease that carries a negative stigma that I’ve been attempting to rectify alone for years. Unfortunately, now my wonderful Brother suffers. Your 10 Request Article has hit my core. I have believed those requests and lived it and would be agreed to by every Alzheimer’s patient out there. I will pass it along to everyone I know and more. Thank you! I have MCI (Mild Cognitive Impairment) that has recently started to worsen? Could it be transitioning to Alsymers Disease ? I have Mild Cognitive Impairment (MCI) but it has worsened of late which has me starting to worry about Alsymers Disease! Any suggestions.I am in Canada with good health care !